John Meier passed away January 15, 2019 after a long hard fought battle with cancer. John was born on June 12, 1946 in Muskegon MI to Francis “Bob” & Dorothy Meier. He was a graduate of MHS and served in the US Army. He retired from DTE after 32 years of service. 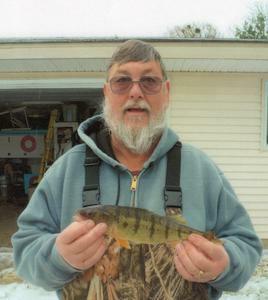 John loved fishing, hunting and working on projects. He is survived by his wife of 28 years, Rebecca; children, Lara Meier & Richard (Kim) Meier; brother, Dan (Pauline) Meier; grandchildren, Amanda & Carly; great grandchildren, Destiny, Lucus, Kyrie. John is also survived by a host of good friends. Per John’s wishes there will be no services.